At the 2015 Photo London Fair, fine art photographer Veronica Bailey attended a VIP tour of the Witt and Conway Libraries at The Courtauld Institute of Art. A selection of uncatalogued boxes belonging to the de Laszlo gift of Paul Laib negatives became the subject of a further twelve months research, leading to photographic project within the library. 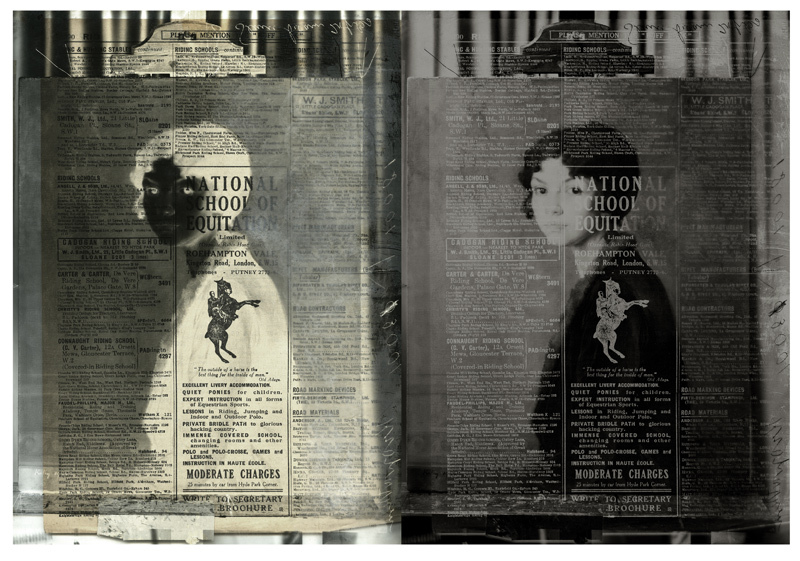 Bailey discovered that several of the cardboard Kodak boxes contained pages torn from a trade directory inserted between the plates, suggesting a new ‘sandwiched narrative’ of both artistic and photographic significance. 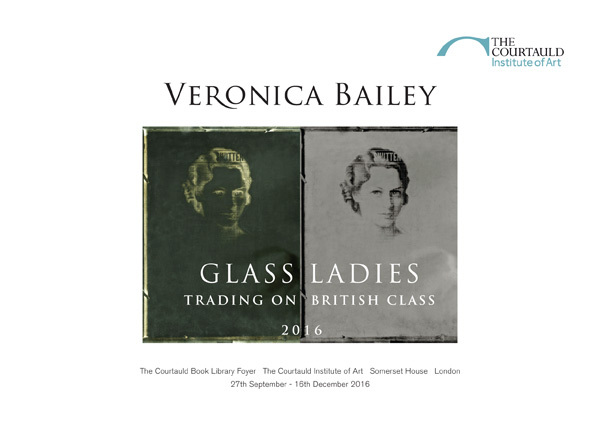 The Glass Ladies Series introduces titles such as Lady Prichard, Lady Reilly and Lady Shutter, forming new identities for the sitters. 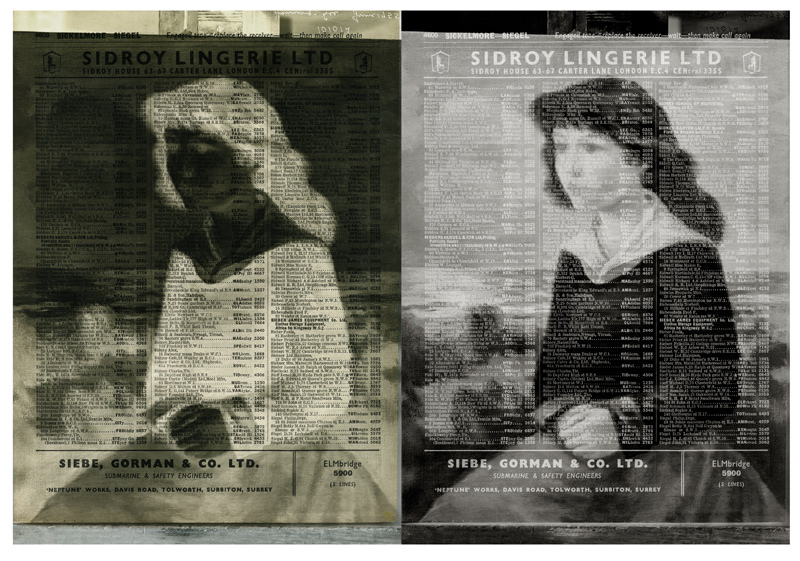 These women are unwittingly remodelled as advertising mannequins for a variety of proletariat trades, alongside companies such as Sidroy Lingerie, Deans Blinds, Glasso Paints, Pritchards Bride Cakes, and Quickset Water Sealers. 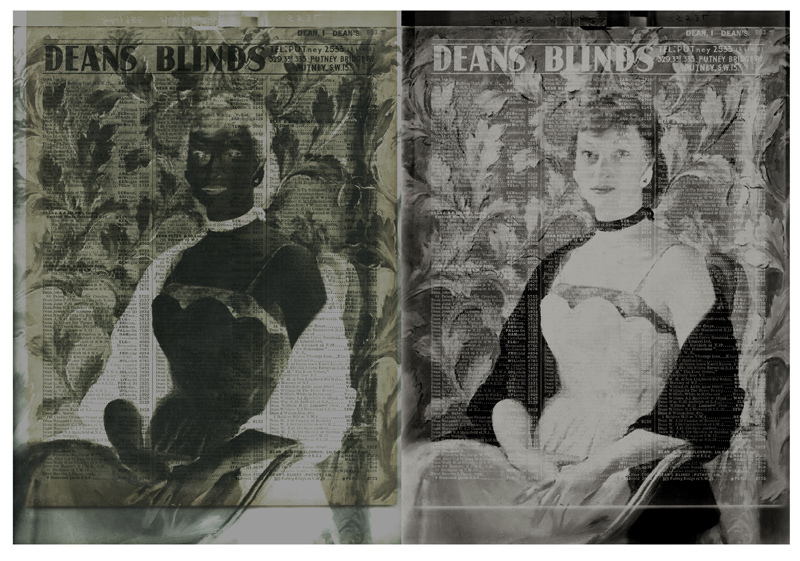 The presentation of these new images as near colourless diptychs [both positive and negative] suggest the push and pull of possible public and private relationships, hinting at a segregation of class. 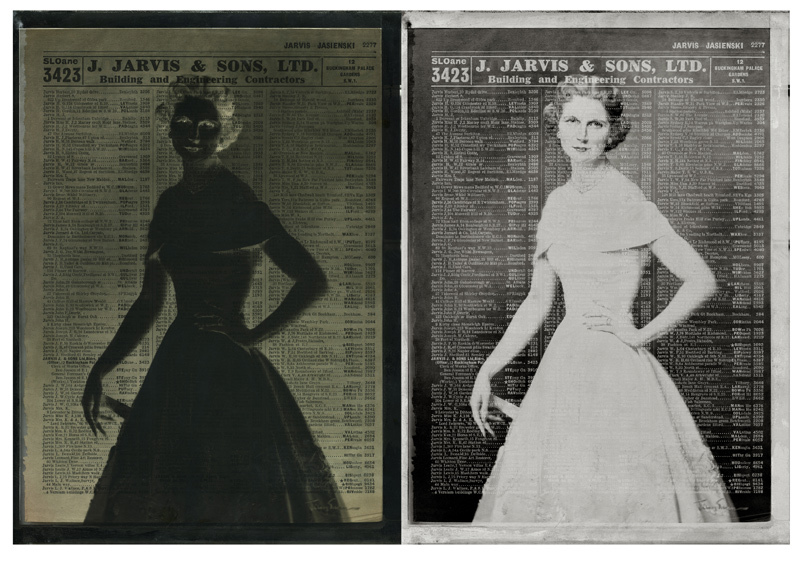 Along with Bailey’s large photographic prints, the display cabinets contain a selection of Laib’s original negatives, which feature paintings by artists including James Gunn, Oswald Birley, Lancelot Glasson, Gerald Kelly, as well as the relatively unknown female portrait artist Eva Sawyer. History of The de Laszlo Gift of Paul Laib Negatives, Witt Library, The Courtauld Institute of Art During the early decades of the twentieth century the fine art photographer Paul Laib (1869 - 1958) made glass plate negatives of paintings, drawings and sculptures for his artist clients, alongside surveys of private art collections for reproduction and record keeping. Laib was a naturalised British subject, born in Hamburg circa 1870, and is recorded in the 1901 census as living at 3 Thistle Grove, South Kensington. He photographed the work of many major artists active between 1901 and 1945, often working in their studios. The significance of this largely unpublished collection, as both an historical record and source of creative inspiration, is reinforced by its physical presence. 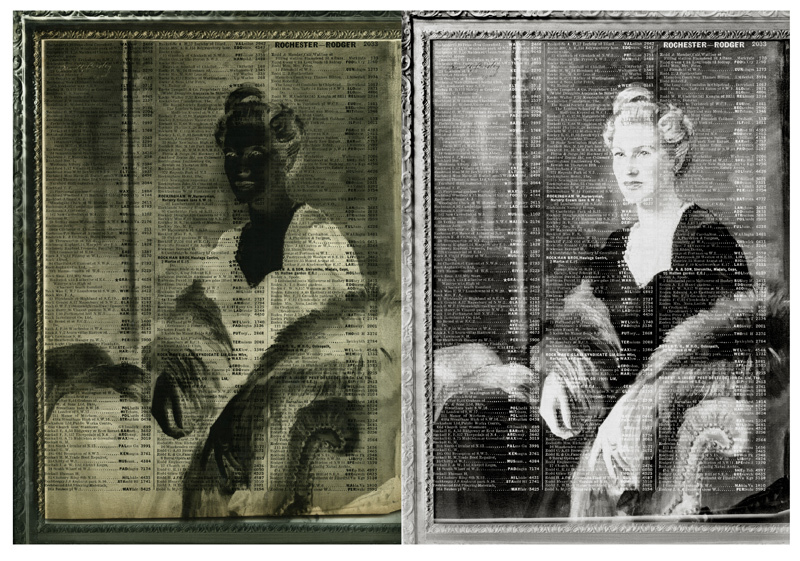 After Laib’s death the collection of 22,000 negatives might have been destroyed had it not been for Patrick, son of one of his most eminent patrons the painter Philip de László, who arranged for the negatives to be purchased by the Philip Trust and stored at the de László home. 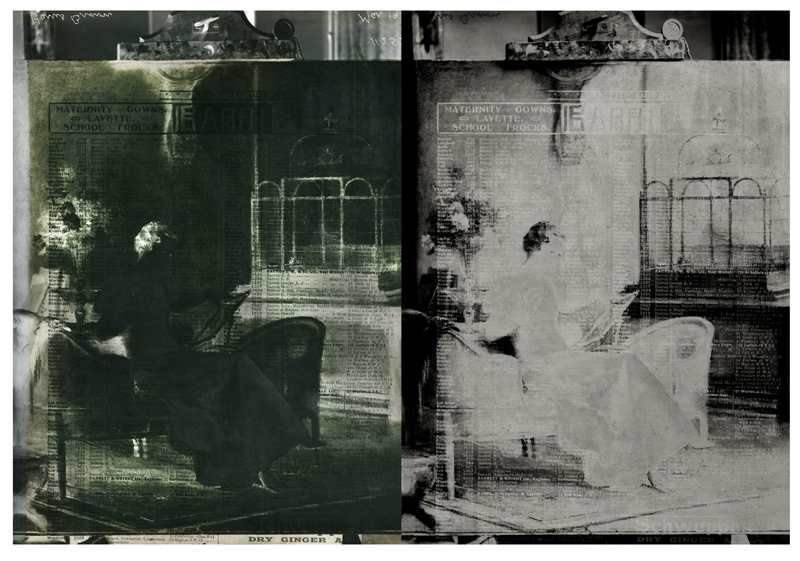 Negotiations for the collection to come to The Courtauld began under the Directorship of Professor Lasko, and it was agreed by the management board to accept the gift of negatives, ledgers and shelving. 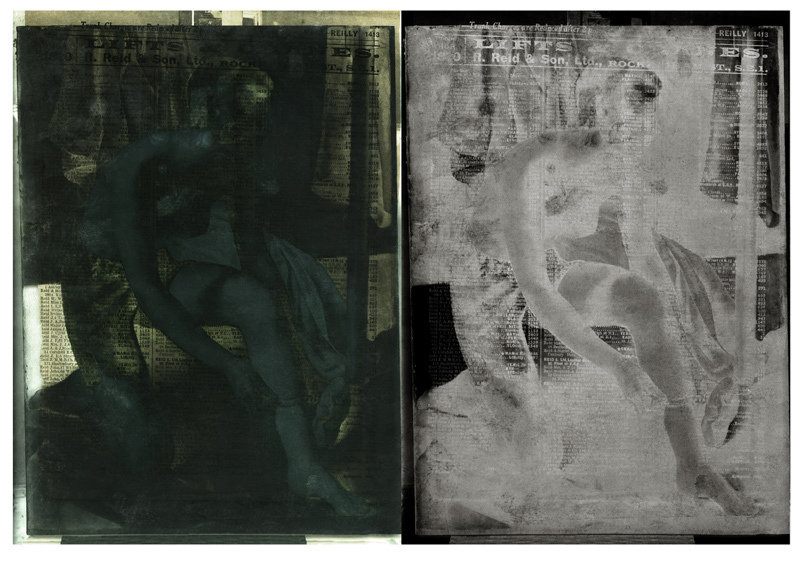 They arrived in the Library in 1974 and, at the request of the Philip Trust, became known as the de Laszlo Collection. Over 1,000 boxes were organised according to Laib’s numbering system, and attempts were made to cross-reference both the box numbers and the Laib’s ledger books with a card index. 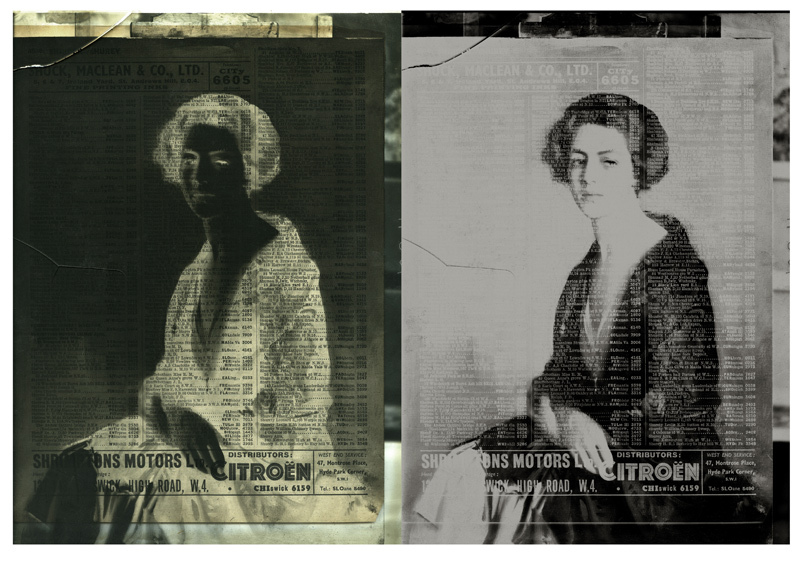 The collection was moved to Somerset House in 1989, where it is now known as The de Laszlo Gift of Paul Laib Negatives. In May 2016 The Courtauld secured funding from The Heritage Lottery Fund towards phase one of Courtauld Connects, a major programme of transformation and public engagement. This includes digitalising, cataloguing and publishing many unseen images from the photographic library collections, of which the Paul Laib negatives will, pending copyright clearance, form an important part. Special thanks go to Sandra and Damon de Laszlo for having the foresight to preserve and donate these fragile, unique objects for future generations to appreciate. 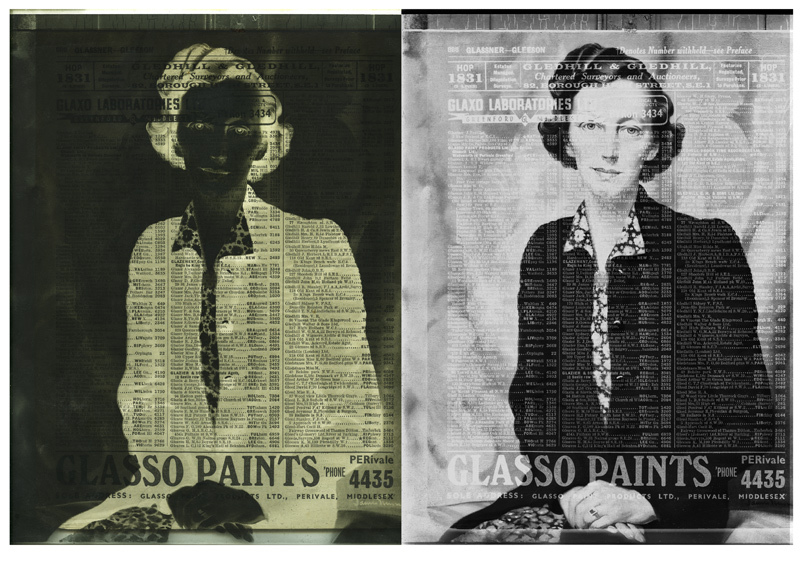 Glass Ladies effectively demonstrates how working with an artist can transform and enhance the appreciation of archived material, which, until now, had only previously been recognised in an art-historical context. 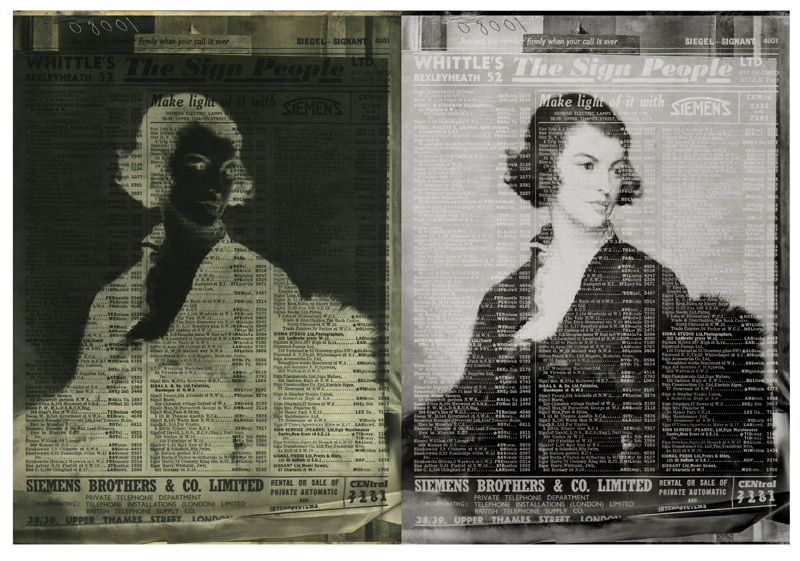 Items such as the torn advertisement pages form a fascinating insight into our social and economic history, as well as constructing a commentary on the often detached, parallel world of trades, services and society. 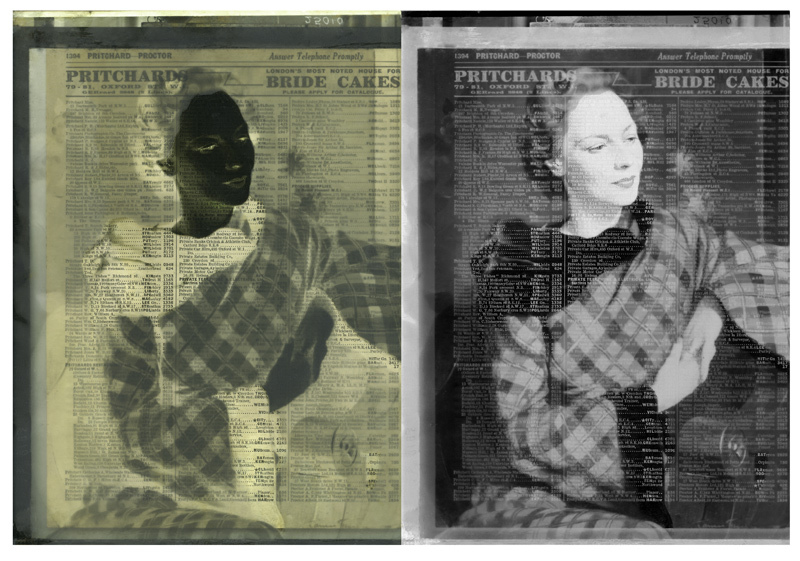 Created at a pivotal point in the Witt Library’s history, where a pragmatic approach to digitalisation is being adopted by The Courtauld, Glass Ladies embodies Bailey’s careful approach to transforming the ephemeral into artistic and photographic significance. 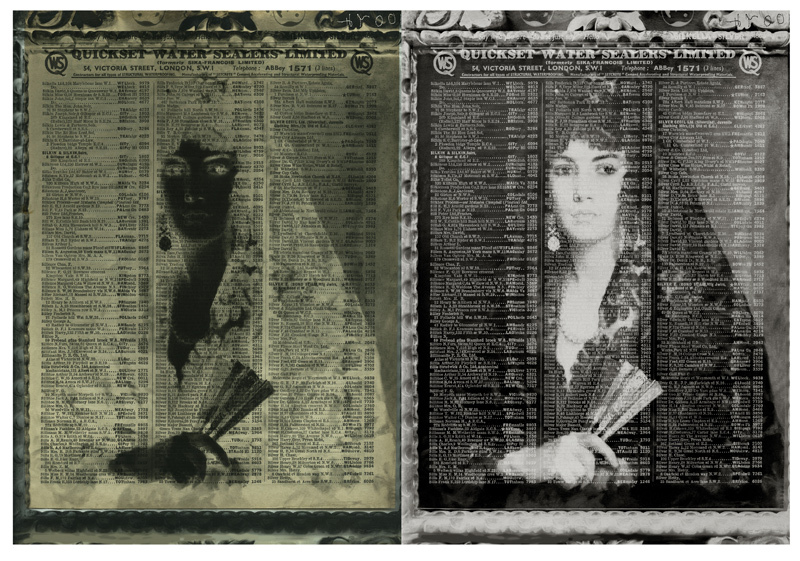 Exhibiting at the Courtauld Book Library foyer, Glass Ladies: Trading on British Class is both timely and relevant in terms of raising awareness of the Paul Laib Collection by revealing and providing insight into an otherwise hidden photographic collection. 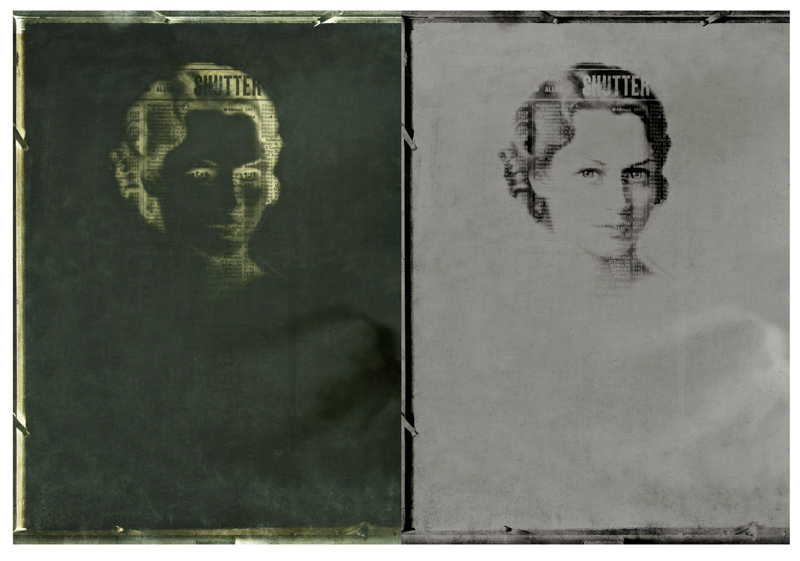 Edition 9 + 3 A/P. 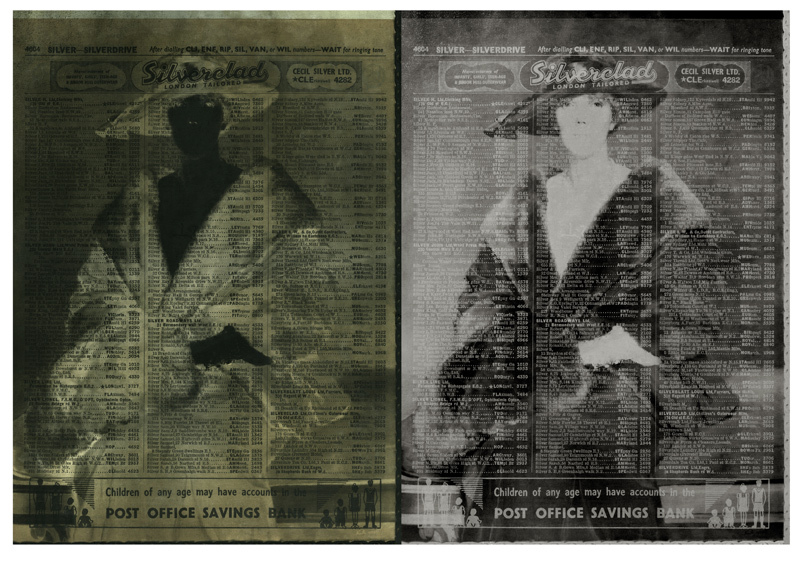 Mounted Archival Photographic Prints. Black box frame + Museum Glass.